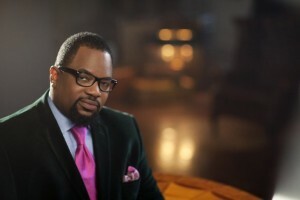 Bishop Hezekiah Walker is all smiles as his latest CD Azusa The Next Generation 2-Better makes its debut at #1 on Billboard’s Current Gospel Albums chart,a #3 debut on Billboard’s Top Christian & Gospel Albums chart and enters the Billboard 200 chart at #88. “Better,” the lead hit single has maintained the #1 position on the Billboard Gospel Airplay chart for ten consecutive weeks while holding the top spot on the Billboard Gospel Digital Songs chart for three consecutive weeks. 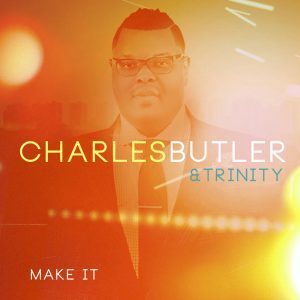 Make It, the second project from DMV based Stellar nominated contemporary Gospel group Charles Butler and Trinity bows at #2 on the Billboard Top Gospel Albums chart. Trinity, founded by Butler in 1997 has shared the stage with some of Gospel music’s greatest artists in addition to appearances at the White House, The March on Washington Anniversary celebration and having served as the backing ensemble on BET’s Bobby Jones Gospel program for eight years. The group made their national debut with the release of Better for Earnest Pugh’s EPM Music Group label in 2014. That album peaked at #7 on the Billboard Chart and garnered a Stellar nomination for the group. 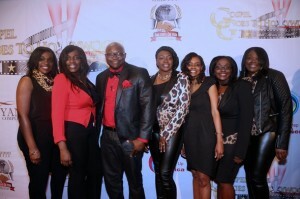 The group recently signed with Anointed Sounds Records for the release of their sophomore project. Their first single and title track Make It continues to dominate the radio charts, making its way into the top 40. 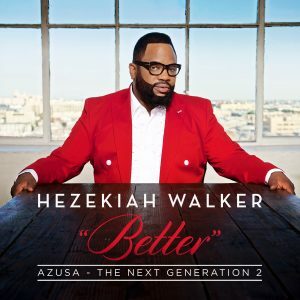 Grammy and Stellar Award Winner and recent GMA Hall of Fame inductee Bishop Hezekiah Walker readies the world for the release of his 15th album produced by Donald Lawrence entitled Azusa The Next Generation 2 – Better. Led by the title track and radio single, Better has taken hold of the country seizing the #1 spot on Billboard’s radio chart. The album is the follow up to the 2013 Azusa The Next Generation which gave the world the amazing hit, Every Praise. Azusa 2 is available now for pre order on iTunes and Amazon. One thing is for certain, The Kings Theater in Brooklyn, New York will not be the same after July 23rd. Bishop Hezekiah Walker brings together the Love Fellowship Crusade Choir for a gigantic reunion concert. Its sure to be a night to remember the string of hits that made this choir a musical powerhouse for nearly 3 decades. Its been a very good year for Hez thus far, with a new label deal, the new single hitting #1 on the radio charts, his induction into the GMA Hall of Fame AND the announcement of his addition alongside Fred Hammond, Israel Houghton, Karen Clark Sheard, Casey J and Regina Belle for this year’s Festival of Praise tour, things can only get better! This already looks like one of the highly anticipated events of the 2016 calendar year. 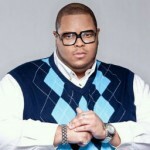 Entertainment One proudly announces the signing of Bishop Hezekiah Walker and the release of his new single, Better. Walker took to the stage at the 31st Annual Stellar Awards joining Ricky Dillard and Donald Lawrence while paying tribute to the late Olanda Draper for the world premiere of the new single co-produced by Donald Lawrence. The Stellar Awards will be televised on Sunday, March 6th on TVone as the song hits digital outlets on Friday, March 4th. After a power packed CD release concert hosted at New Orleans’ Greater St Stephens Full Gospel Baptist Church coupled with appearances from Lowell Pye and Canton Jones, the Showers are poised to make an indent in Gospel with the imminent release of their self titled album on Habakkuk Music. April Chandler, president of Habakkuk Music, said “the album is very diverse and there’s something on it for everyone… production was executed excellently.”With production assistance from Grammy and Stellar award winners Deon Kipping, Myron Butler, Bruce Robinson, Jr. and others, this new disc is sure to be a favorite among Gospel music lovers. Louisiana based family group The Showers announced an exclusive national distribution partnership with Habakkuk Music/INgrooves Fontana. 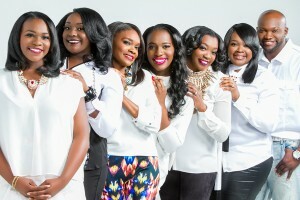 The group has two Top 40 radio singles “Praise Your Way Through” and their current rising radio single “Better” (written and produced by Deon Kipping). In addition to Kipping, their debut album, the first project from their A & P (Aquilla and Priscilla) label will also feature production by Grammy winner Myron Butler(Tamela Mann, Marvin Sapp) and Bruce Robinson, Jr (Joshua Rogers, Fantasia). 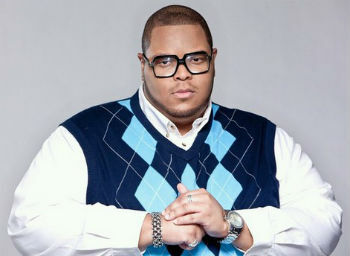 DC’s best ke pt secret is a secret no longer as EPM Music Group readies a new radio single from Charles Butler and Trinity. The group backed Earnest Pugh on his 2010 #1 radio smash “Rain On Us” in addition to contributing stand out performances on Pugh’s Christmas disc. The stage is now set for the release of their latest single, Amazing Worth. “I’m excited that `Amazing Worth’ is our second single,” Butler says. “It simply talks about all the things that make God Amazing. God’s love is unfailing and his hand is Unchanging. I want people to hear this song and reflect on God’s love and his Amazing love towards us.” Look for the single available digitally on April 15th and a physical release of their CD Better on June 24th. 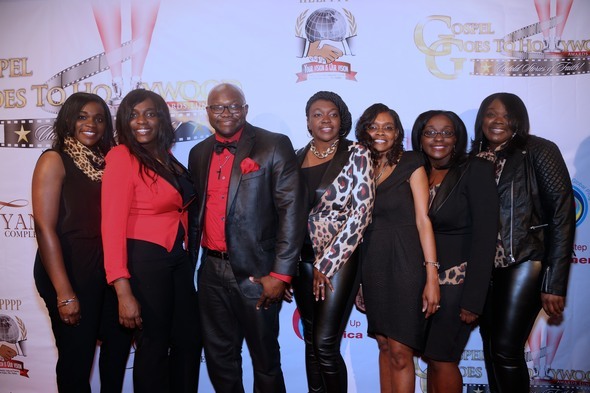 The Showers got a chance to do what they do best as they lifted up the name of Jesus at the Gospel Goes to Hollywood Pre-Oscar Awards Luncheon event on Friday, February 28th. The group performed their latest single, Better and moved the crowd with their performance. Pastor Donnie McClurkin wanted a piece of the reprise and enlisted some additional vocal support from soul song stylist Kelly Price. Better, released back in January was written and produced by Deon Kipping and is seeing favorable action at radio. The song peaked in the Top 30 on the iTunes Christian/Gospel Top 100 Chart. A full album from the Showers is due later this year.